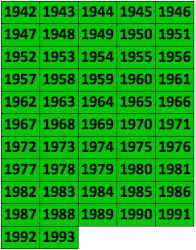 After sorting through the pre-Shortzian constructor names and posting the remaining PS Notes on XWord Info recently, I went through my records and put together an updated list of the missing puzzles, whose 143 dates are listed below. A few other dates not included below were problematic, and some puzzles (such as, but not restricted to, 10/11–10/18/65) have PDFs in ProQuest, but the PDFs aren't of the puzzles that should have run—they show repeats of puzzles that appeared earlier. If anyone wants to help search for these puzzles, be sure to read the previous posts about the missing puzzles first. I still think the only places we might find them at this point is in old books of the daily Times crosswords (best bet) or in the Times's International or Los Angeles editions, both of which published the puzzles concurrently. 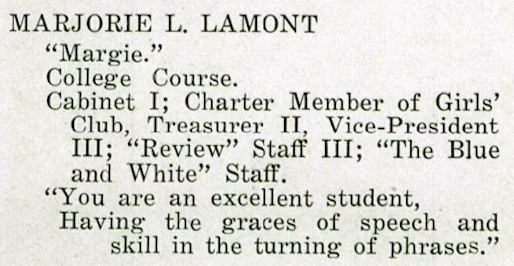 Unfortunately, now that "everything" has been put on ProQuest, locating actual copies of these old editions, even in microfilm form, may not be possible through traditional channels. It's always possible, though, that someone somewhere kept copies of all the old International or Los Angeles papers, though after all these years their condition probably wouldn't be good. Todd discovered this obituary of Emory Cain, who began his lifelong newspaper career at age 12 and published 10 puzzles in the Maleska era. Todd also found a puzzle published in The Lethbridge Herald [Alberta, Canada] in September 1941 by a William Canine. 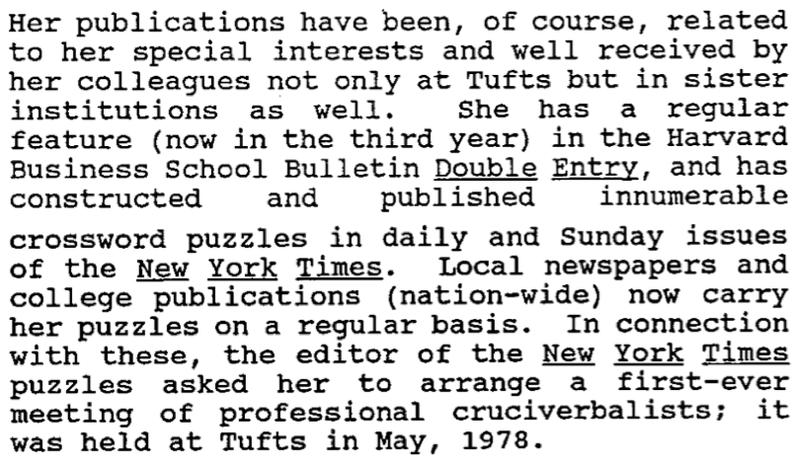 The puzzle appeared 40 years before "the" William Canine's first New York Times puzzle, which was published on October 16, 1981, so whether or not this is the same person is unclear, though it seems likely. 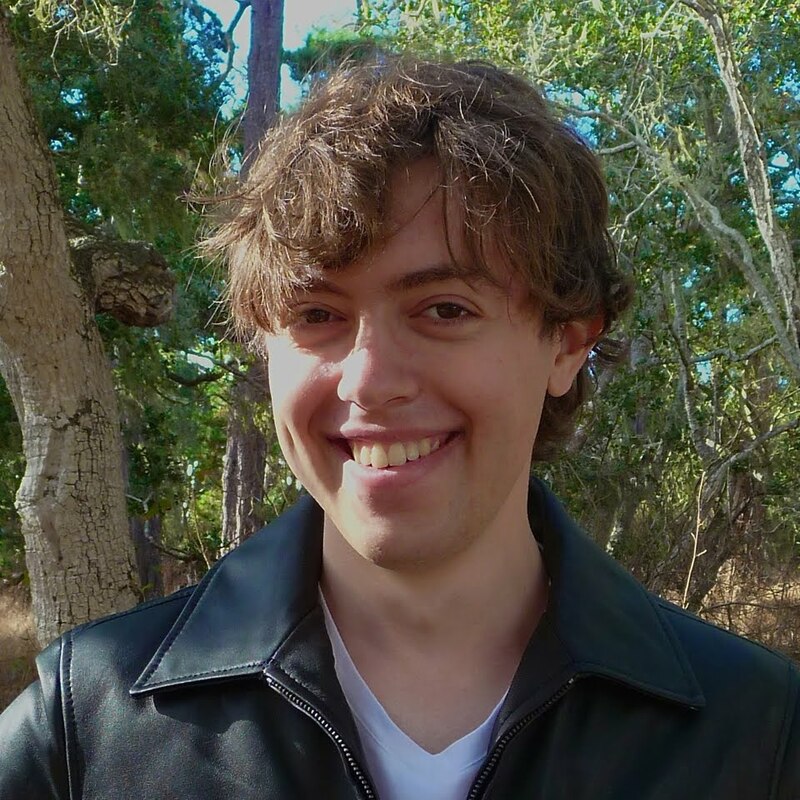 William Canine published 65 puzzles in the Maleska era and 2 during Will Shortz's editorship. Part of 1941 puzzle by William Canine. Photo courtesy of Conservatory Craftsmen. 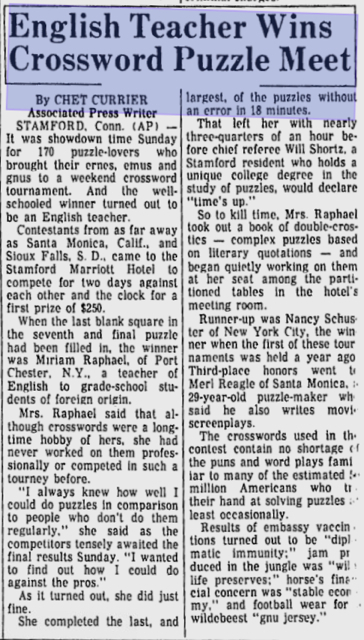 Todd also discovered this obituary for Walter Covell, an entertainer who published 33 puzzles in the Maleska era and 1 in the Shortz era. 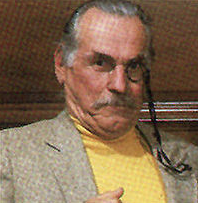 Googling a bit, I discovered that Walter also has a brief bio on IMDb, which mentions his 1985 Clue VCR Mystery Game credit (as Colonel Mustard). 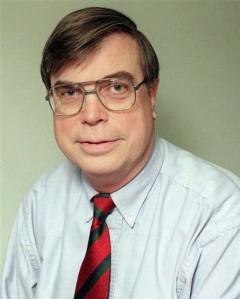 He worked for the Associated Press, and while he did compose many crossword puzzles for them, his main beat was business. In fact, he worked for Bloomberg after the AP. Though a native New Yorker, Chet moved . . . [to] Manhattan Beach [California] in 2005 . . . but, alas, didn't get to live there long, having passed away in 2007. . . . Chet wrote crosswords for the AP as well as business articles. 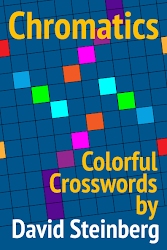 At least once, he wrote an AP article about crosswords. . . . Image courtesy of Google news. Todd also directed me to Chet's Wikipedia page, as well as to an obituary of him in the American History of Business Journalism, at AHBJ.org. An S&S puzzle of hers mentions Oregon, so I used that to try and find her. . . . Well, I found a Betty Jorgensen in Portland, born in 1919 and passed away 2008. 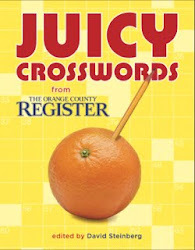 I was able to find her obituary on the Oregonian web site. . . . Alas, the obit made no mention of crosswords, which is odd considering how many she published. So I can't be sure I have the right person. I've found other Betty Jorgensens, but they aren't in Oregon and don't seem to be good candidates. I have found out a fair amount about this Betty Jorgensen . 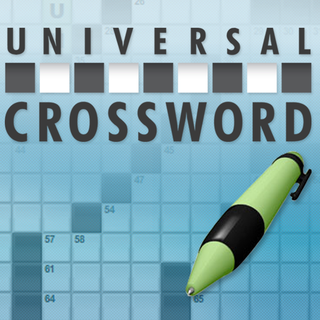 . . but, again, nothing tying her to crosswords. But she wrote poetry, which seems fitting. Hopefully we'll be able to identify Betty definitively at some point in the future. 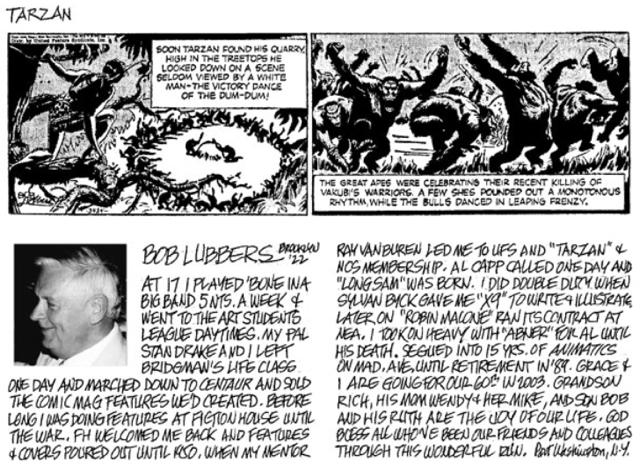 Image courtesy of the National Cartoonists Society. Photo courtesy of Medford High School. Originally published at Tufts University. I'd never heard of this, so I asked Will about it. He hadn't heard of it either (though he pointed out such an event wouldn't have been the first ever such meeting, he'd arrange something similar in Fairfield Co., CT in 1977). I found a few pictures of a Marjorie Lamont, all of whom look like the same person. 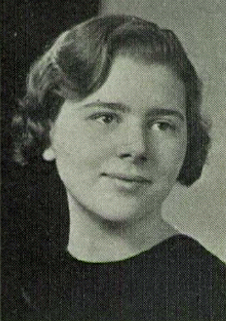 But one is a high school picture from 1939, when she would have [been] 21. So I'm enclosing a picture from a different (but not far away) high school, when she would have been 17 (almost 18). I'm pretty sure she was born Marjorie Louise Lamont on 8 Jun 1917 somewhere in the Boston area. In the 1940 Census she was living with her parents in Medford, MA working as a teacher in a secretarial school. Image courtesy of Medford High School. Finally, Todd discovered that a special edition of Random House's Sunday crossword series (volume 25) mentioned that Joy was the "sister of noted novelist Herman Wouk." Apparently, though, she was actually Herman's sister-in-law—her husband, Victor, was Herman's brother. 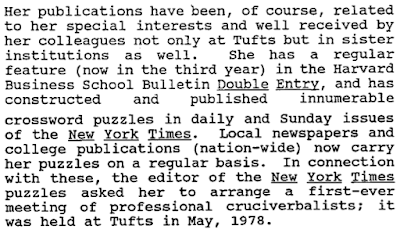 Joy, who published 124 puzzles in the Maleska era (and under Mel Taub) and 9 in the Shortz era, passed away in 2008, as documented in this brief Times obituary. Thanks so much again, Todd, for all your great research and leads! It's especially nice, too, to finally have photos of some of these constructors!